Two years since it helped bring hybrid smartwatches to the masses, Mondaine is set to launch a new version of its Helvetica No.1 Smart. Unlike its predecessor, the new Mondaine Helvetica Regular Smartwatch will offer users call and email notifications, while also bringing back activity tracking and sleep monitoring. This can now be taken a step further, too, with alerts available to help push you off the couch and coaching on hand to provide you with tips. We don't have images yet - the above is the No.1 Smart. In terms of design, Mondaine has revealed the fresh watch will pack its smarts inside a 40mm stainless steel case, which also comes water resistant at 3ATM — meaning it'll be able to survive a splash in the rain but not exactly survive deep sea expeditions. The smart functions will be spaced throughout the dial in the 2, 4, 8 and 10 markers, and Mondaine still brings the simple edge with a black leather strap. Interestingly, the new connected timepiece will also come at a cheaper rate than the first iteration did back in 2015. 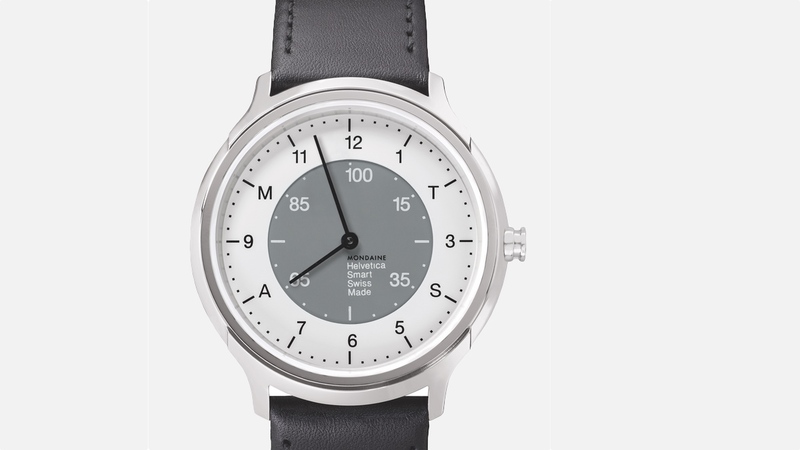 The Swiss company will launch the Helvetica Regular Smartwatch in October for CHF 650, translating to roughly $660. This is still on the pricey side of the spectrum, but also pales in comparison to the likes of fellow Swiss watchmaker Tag Heuer. We'll have more when images of the device become available, but it's a fairly safe bet it will feature the same solid build quality, classic design and accurate tracking we've come to expect from Mondaine. We recently heard that Mondaine would be bringing a hybrid with contactless payments from Tappy at Baselworld - it remains to be seen whether this is it. The news comes after a bevy of announcements at Baselworld 2017, in which Fossil Group dominated the watch show. Under its umbrella, the Diesel On and Emporio Armani Connected formed part of the smartwatch group packing Android Wear 2.0 while we saw countless hybrids, including the DKNY Minute and Tory Burch Collins.